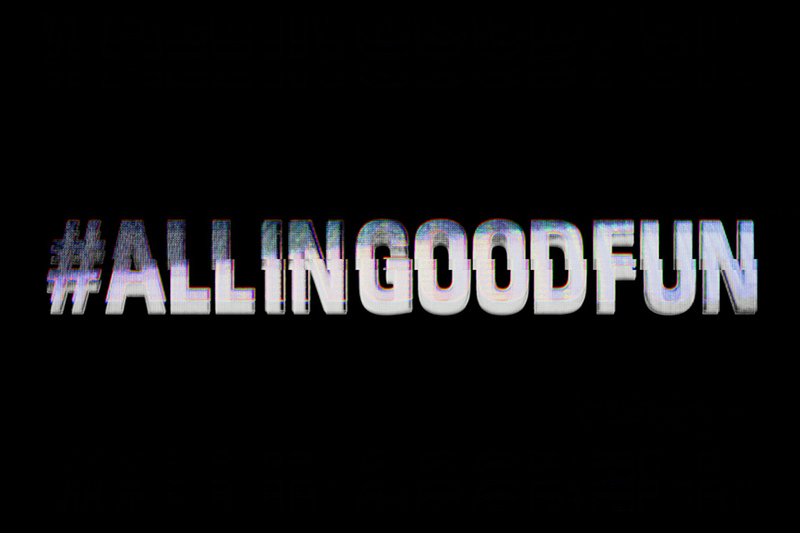 ALL IN/GOOD FUN was a campaign created for DVS Shoe Company in 2014. ALL IN/GOOD FUN is a simple statement with an infinite sum of realizations. The duality of going “all-in” while having fun is highlighted via imagery that exposes the contrast of Fun and Pain; Prank and Perseverance; Athletes and Slackers; Humor and Hardship. For riders that have made the pursuit of their passion an ultimate priority, these seemingly opposite philosophies are in harmonious discord with each other at all times. That’s what makes skateboarders and snowboarders unique: it’s all fun and games… even when we get hurt. DVS Shoe Company is a global footwear brand established in 1995 and dedicated to inspiring youth to have fun and always push forward. With a focus on originality, quality, and innovation, DVS creates a diverse range of performance and lifestyle products designed for those who share a love for defying boundaries. They wanted to become a lighthearted brand again and the industry started taking itself too seriously, so we decided to have some fun. After all, DVS is in the business of fun. Long before Jason Acuna aka Wee Man was known for his antics with the Jackass crew, he was [and still is] a passionate skate rat whose noticeable talent forged his beginnings as a pro skater and a DVS ambassador for over 10 years. Inspired by his ’62 Impala, this collaborative shoe is full of details that Wee Man personally selected for style and functionality. When Big Brother magazine came on the scene in 1992, it forever changed the idea of what skate mags would feature. 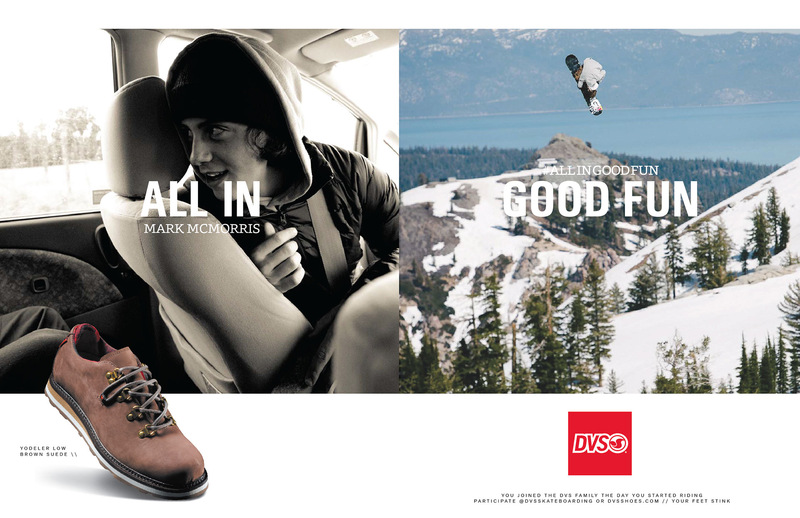 Head Photo Editor Rick Kosick was behind the lens of much of the photography that littered the pages of that bawdy magazine, so Wee Man suggested that Kosick produce the commercial for his new signature shoe, and we knew it was the perfect fit for the project. Special thanks to Rick Kosick, Jason Acuna, Dave England, Preston Lacy, Daewon Song, Torey Pudwill, Ricky Melnik, and the City of Long Beach. iPandemonium! was a short video released in conjunction with Thrasher Magazine featuring the DVS team creating havoc at demos in Costa Rica, Panama, and Peru while still handling lots of business in the streets. Torey Pudwill ends things off with that massive nollie flip from the March 2014 cover. Boom! ALL IN/GOOD FUN is a simple statement with an infinite sum of realizations. The duality of going “all-in” while having fun is highlighted via imagery that exposes the contrast of Fun and Pain; Prank and Perseverance; Athletes and Slackers; Humor and Hardship. For skateboarders and snowboarders that have made the pursuit of their passion their life, these seemingly opposite philosophies are in harmonious discord with each other at all times. That’s what makes skateboarders and snowboarders unique: it’s all fun and games… even when we get hurt. Don’t take it personal, it’s all in good fun.